"The Shrike was distinctive in that its strut and wire braced low wing featured trailing edge flaps, the first to be used on an Army Air Corps plane, and full span, automatic, leading edge slots." No. 128 in the 'Aircraft in Profile' series. 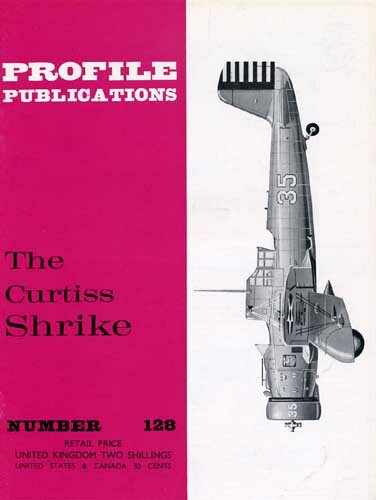 Detailed description of the design, development and operational history of the Curtiss Shrike, an American low-wing monoplane ground-attack plane.